2019’s Pantone’s Color Of The Year is set to be a dramatic switch from the hue presented through last years official colour. With the new year heralding in, ‘Living Coral’ is the defining colour of 2019. Following on from previous colours such as 2018’s ‘Ultra Violet’ and 2017’s ‘Greenery’, Living Coral brings with it an energising and seascape vibe. Pantone’s Color Of The Year is a major symbolic event that has been ongoing since 2000 and influences product development and purchasing decisions in various industries around the world, of which include fashion, furniture and design. The Color of the Year is an in-depth process that sees Pantone use trend analysis and consideration as to which colour would be best to represent the year ahead. Laurie Pressman, the Vice President of the Pantone Color Institute in relation to the annual occasion stated: “Pantone Color of the Year has come to mean so much more than ‘whats trending’ in the world of design; it’s truly a reflection of what’s needed in our world today”. Having been classed as a colour that embodies our desire for playful expression, Living Coral 16-1546 is a throwback to a colour that you may have passed on before, one of which featured promptly on your mothers’ turtleneck jumper 30 years ago or on the patterned walls in your first flat. Living Coral is a living and breathing colour, one that gives off the ‘still standing’ message, with its association to real life coral being ever so prominent. 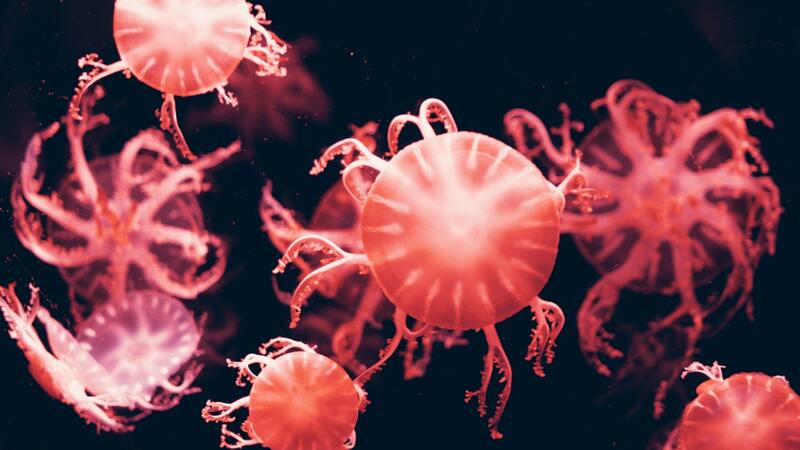 With coral reefs under threat due to climate change, with many having already fallen demise to the negative effects of which it brings along with it, this colour of the year is a slight reminder that it’s time to make a change for the better. The popularity and use of Living Coral and other associated colours have been fluctuating over the years, with its usage being used for jumpers, lampshades, high-heel boots and dresses fit for the catwalk. It is also the colour of many popular cocktails you love and know, with some varieties of the cosmopolitan, the watermelon margarita and the blood orange screwdriver included. 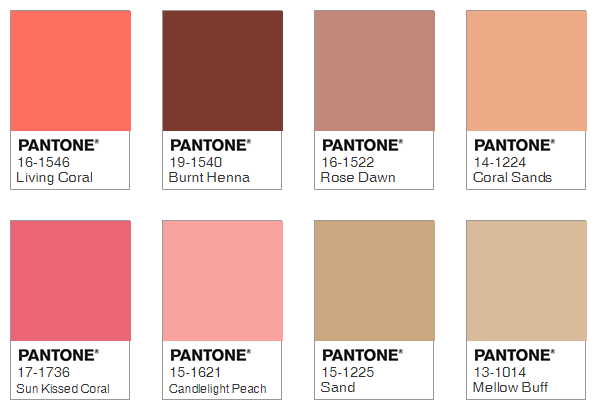 Although Living Coral does not appear on the colour wheel in any form, with its nearest associated colours being either orange or red, it interestingly enough has a diverse colour palette that can be used alongside it. For a palette that pays homage to skin tones around the world and shades that best relate, Living Coral can fit alongside the like of ‘Sun Kissed Coral 17-1736’ and ‘Burnt Henna 19-1540’. Another grainier palette includes two earthy colours, ‘Coral Sands 14-1224’ and ‘Sand 15-1225’ which when placed with Living Coral, bring with it a significant colour correlation. Bringing Living Coral into your home can be easily done, with one of the best ways being through the accessories you stock your home with. Dinnerware, lampshades, curtains and plushy pillows are all examples of furniture that would look good in ‘coral. Painting an accent wall with Living Coral 16-1546 would also be a great way to herald in the new year, with such colour being great in complimenting so many others, whilst still making a stand as a defining statement in your home or property.